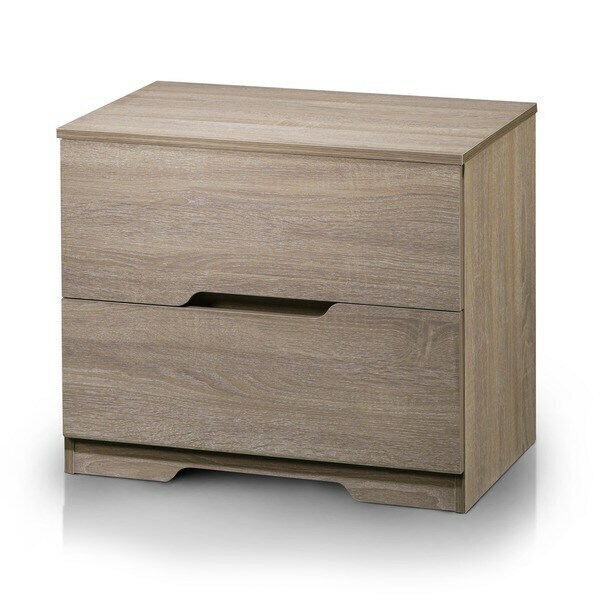 Compact and sleek, this subtly eye-catching nightstand offers spacious compartments and a beautiful exterior. The double drawers open smoothly on metal glides while the drawer faces feature a fun angled design. I didn't care for this nightstand. It isn't very sturdy and the drawers slide open and break very easily. The color is nice and it might work for a guest room where it doesn't get as much use. It wasn't as tall as I had hoped it would be either. I have one already and I like it.